Website design, SEO and MindBody integration for small businesses. Eye-catching designs created in a way that is easy for the visitor to navigate. Sites can be designed from scratch or can start with a ready-made WordPress theme, customizable to match you business’ marketing materials. Not seeing what you need? Get in touch — we can probably handle that for you! Zolé’s hosting Is on a Virtual Private Server (VPS). The services with hosting includes a monthly reporting of statistics (i.e. number of visitors, pages visited, keywords used to find your site) which allows you to gauge the value of your website to your business. Hosting also includes email addresses with spam filtering and virus protection. Domain name registration and maintenance also available. In addition to a website’s “natural rank”, there is the option of a paid listing that appears on the top and right-hand side of the search results page. MINDBODY’s online business management software helps service professionals worldwide manage and grow their businesses anywhere, anytime. Features include online scheduling, eCommerce solutions and sales analytics. Using MINDBODY Branded Web, we can integrate your MINDBODY schedules, staff bios and other information into your website. Schedules can be a tricky thing to edit, regardless of the content management system. Zolé offers a database driven schedule that makes it easy to update your yoga schedule. The schedule is “responsive” so it will look great on any device. See a yoga studio schedule as well as the Yoga Schedule Editing System.  Rather than use a ready-made WordPress theme, why not have Zolé create a custom design that works in WordPress?